Lots of areas around Kelowna do look quite desert-like to be sure but when you get out there and explore it's surprising how lush some of the areas you come across are as well. (not compared to the coast I realise, but compared the dry okanagan stereo type) For me, this valley has a nice variation; although once we get to about mid-August it often doesn't seem that way. It's important to remember that records for the entire year are taken into account. I will also add that the Semi-arid definition I provided is a a crude approximation at best, so these classifications are not synonymous with vegetation boundaries. Of course, semi-arid plants like most plants will not grow past a certain line because of a number of factors other than aridity (soil type, how quickly summer transitions into winter, no seed source, etc. ). Whether or not the experts want to call Kelowna semi-arid, semi-semi-arid, or something else, there is no question it is dry and hot around here. Plus, we get a lot of semi-arid plants growing here. The really interesting thing about BC is how the climate can vary significantly in a very short distance. For example, the Kelowna Airport gets 391 mm/year, while McCulloch gets 728mm/year. Addendum 2: You would probably be surprised how widespread the prickly pear cactus is. It can be found near Ft. St. John and on some of the Gulf Islands. Upon further research, Kelowna is semi-arid after all, but there are no arid regions in Canada. Because the Köppen climate classification that I referenced previously is an extremely crude approximation, I felt compelled to dig around until I could find an accurate method for calculating aridity. Aridity is simply calculated by dividing the precipitation by the potential evapo-transpiration (how much water could evaporate during the year). The trick is finding a good way to estimate the PET. If the number you get is <0.05 then the place is Hyperarid. If the number is <0.2 then the place is Arid. If the number is <0.5 then the place is Semi-arid. If the number is <0.65 then the place is Dry subhumid. Using a little program I have obtained, I was able to accurately calculate aridity indexes for Canadian cities as follows. -Wind is a huge factor, which is why Prairie places can be arid despite a colder climate. - For Kelowna, I was using the airport which is far less windy and over a degree colder than much of the city, which means most of Kelowna is more arid than that. Last edited by Glacier on Jun 28th, 2010, 7:44 pm, edited 6 times in total. Another reason why having green Lawns In Kelowna is a waste of actual water that we dont have. Cumungala wrote: I checked the Canadian Climate Normals and here's what I came up with. The rain and snow is what each place gets in an average year, and the temperature is the highest ever recorded there. Regina (CDA): 296mm of rain and 83.1cm of snow. Highest Temp 43.9!!! I cannot believe Lytton gets that much precipitation!! Ive tried to believe it, but I cant. I dont really care that Kelowna isnt considered semi arid. We still get plenty of hot days in the summer and we get just the right amount of rain. Im glad I dont live in Spences Bridge or Ashcroft where you cant even go outside some days and watering restrictions are are a familiar occurance. You may think I'm dumb...But I ain't so smart.....but i am smart enuf to know how to spell corrictley!! !....I sure wish others culd spel. The graamar by other postars truly sux! Does this mean I can stop constrution on the Family Arc?? Actually, Cumungala's sources are correct.Remember, those backyard thermometers often exaggerate the actual air temperature by 5 to 10 degrees. While Kelowna has recorded 40°C once or twice, it has never been recorded at the airport. The hottest it has ever been in Canada is 45°C (113°F), which occurred in Saskatchewan back in the 30s, and in July of 1941 Lillooet, Lytton and Chinook Cove (North Thompson) hit 44.4 °C(112 °F). Oliver was 43.9°C (111°F) that month, and Osoyoos did not exist back then. I was really surprised seeing that the highest temperature for Osoyoos was only 39.5. The weather station for Kelowna that i included in the list was the airport. Here's what the other stations for Kelowna say. As you can see the other two stations get less snow than the airport, but East Kelowna gets more rain. The highest temp downtown was only .5 degrees higher than the airport. I guess it really depends where you are. Im surprised that Joe Rich gets so much rain. That explains why there are so many cedar trees there. McCulloch only gets 60cm less snow than Revelstoke!!! Cumungala wrote: I was really surprised seeing that the highest temperature for Osoyoos was only 39.5. It isn't, but it is for the station you used - during the time frame of it's existence. The hourly Osoyoos station you can view online is right in the middle of the town (subject to the urban heat effect), so it gets over 40 degrees most years. It has been 42.8 there, but that is off-topic. I have updated the list above to include more places including Whitehorse and and Castlegar. Having been to all the places on that list (except Toronto), I would agree with how each place shakes down based on the vegetation I saw there. There are cactus in all those semi-arid places excluding Whitehorse, but that could be a seed source issue. Last edited by Glacier on Jun 28th, 2010, 9:11 pm, edited 1 time in total. Glacier wrote: Upon further research, Kelowna is semi-arid after all, but there are no arid regions in Canada. Because the Köppen climate classification that I referenced previously is an extremely crude approximation, I felt compelled to dig around until I could find an accurate method for calculating aridity. Er.......... You really need to get out more! I was surprised to read about this, I grew up in the valley and it was always said that the desert is where ever the sagebrush grows. And that it ended around OK Falls. But after reading this I looked it up and true deserts don't have sagebrush, the water levels don't permit it. It is interesting the things we can find out here. Glacier wrote: If the number is <0.65 then the place is Dry subhumid. Castlegar is a microclimate because one part of Castlegar is almost a desert. The North Shore has bunchgrass and the odd sagebrush plant for heavens sake!! Its quite a difference within 11.5km. Just for the record, Castlegar dam gets only 15.1cm more snow than Kelowna and Castlegar Airport gets 109.2cm more snow than Kelowna. Castlegar airport gets a lot more snow because its located right beside the confluence of the Columbia and Kootenay Rivers and systems collide there. Anyways Im straying off topic. Im not surprised that were on the fringe of being semi-arid and dry subhumid. Climatewise, I think we have a climate more like the North Okanagan. The difference in climate between here and Vernon isnt much, but the difference in climate between here and Penticton is quite big. Glacier wrote: [Remember, those backyard thermometers often exaggerate the actual air temperature by 5 to 10 degrees. While Kelowna has recorded 40°C once or twice, it has never been recorded at the airport. Backyard thermometers may not be the most accurtate instruments, but how accurate was the record keeping and thermometers back in the 1930's? I would suspect that data also. Also, I thought Al Gore said that the temperatures have been steadily increasing for the last 50 years, and the last 10 years have been the hottest in recorded history...If this is true, then how can the hottest recorded years all be before 1950? Cumugala, even using the drier Castlegar location, the cities aridity index changes to 0.788 - still not even close to being arid. I cannot add the places you listed because there is not enough data to do so (windspeed, hours of sunshine, etc.). 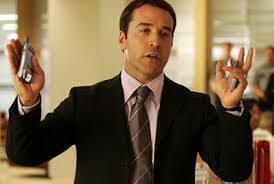 Ari Gold, thermometers were just as accurate in the past as they are today. I actually emailed EC once with 5 or 10 obvious errors I noticed in their database, but they never fixed them (last time I checked anyway). By obvious errors, I mean +28 in Nunavut during the dead of winter. As for the Al Gore/Global Warming part, the average temperatures have increased based mostly on nightime temperatures being higher. It is a very complex issue as to why average temperatures and maximum temperatures don't rise insync which don't have time to get into tonight.